Compact pressure washer with Click&Clean accessory system. Features Tornado pressure regulating nozzle for full control of cleaning force. Handle and wheels for ease of use. On board storage. 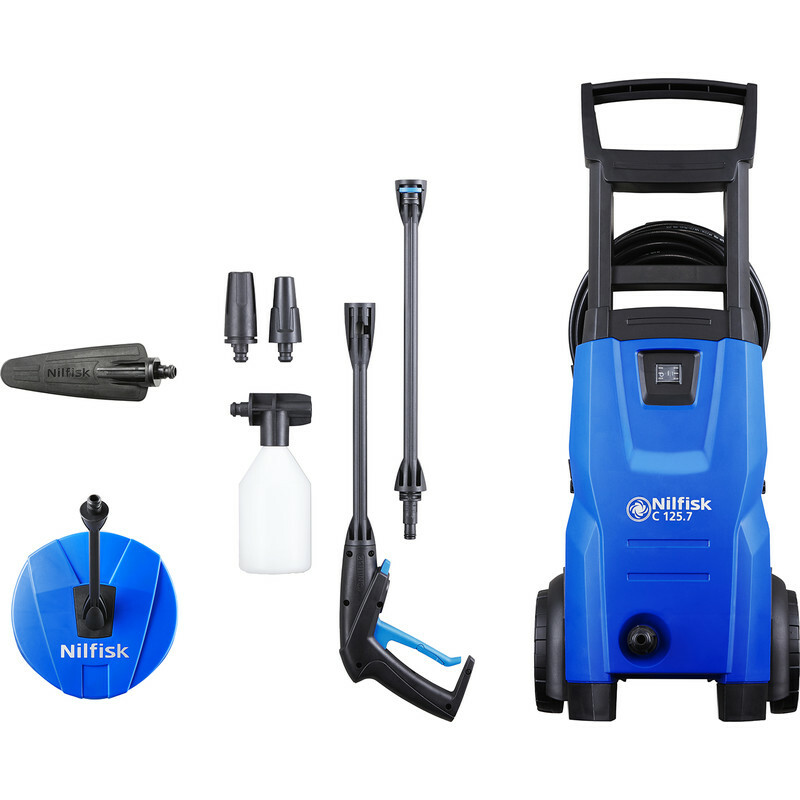 Includes compact patio cleaner, Click&Clean soft bristled brush, 6m high pressure hose and 5m cable, G1 trigger gun with click connect and hose swivel, G2 Click&Clean lance, Click&Clean Powerspeed rotating pencil jet nozzle, Click&Clean foamer nozzle and detergent bottle.